The Rock Creek Trail that crosses into the National Zoo’s property will remain open from dawn until dust despite new operating hours affecting the rest of the zoo. 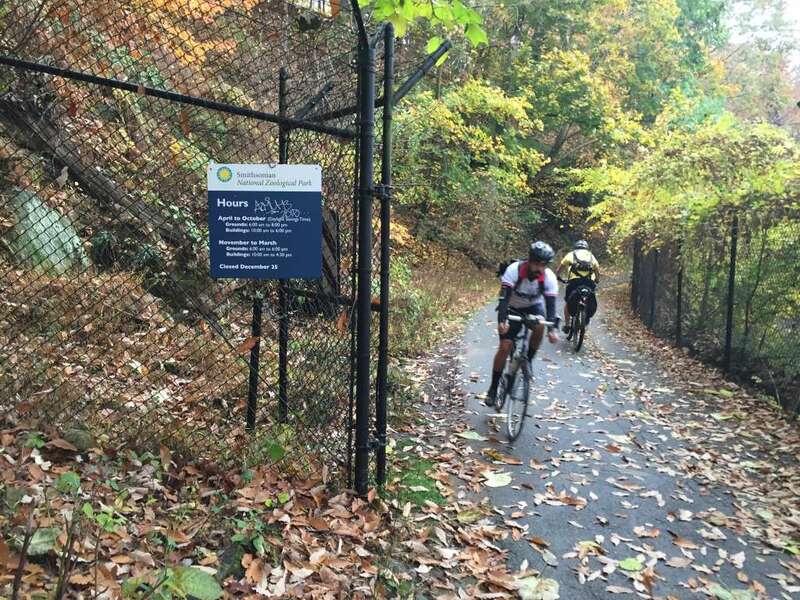 The National Zoo grounds will open later and close earlier starting Jan. 1, but this will not affect use of the Rock Creek Trail north of Shoreham Drive. Entrance to the main part of the zoo, and the Harvard Street bridge to North Road, will be will be open from 8 a.m. to 5 p.m., and until 7 p.m. March 15-Oct. 5), a change from 6 a.m. to 6 p.m. (7 p.m. in the middle of the year). The gates to the trail, which allows pedestrians to circumvent a nearby tunnel shared with cars, will remain open from dawn until dusk, a zoo spokeswoman said. Georgetown’s men’s team won the Big East Cross Country Championships, and George Mason senior Steve Flynn won the individual title at the Atlantic 10 Cross Country Championships.